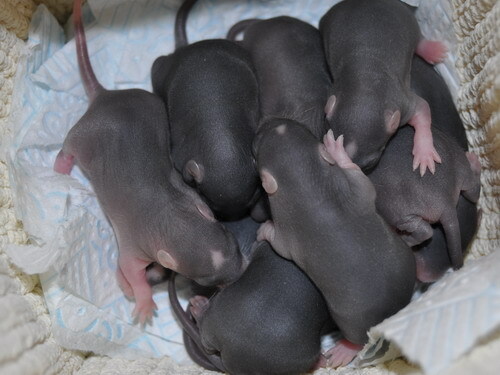 22/10/2012: 11 babies, day 22 of the gestation period (12 born, 11 surviving). 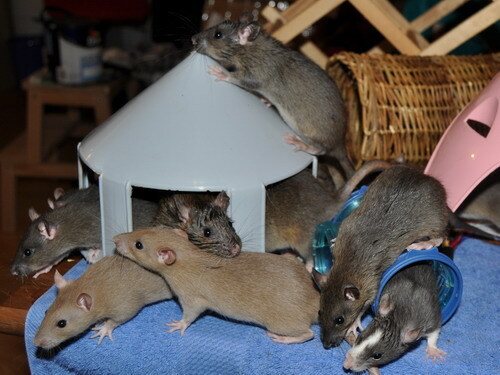 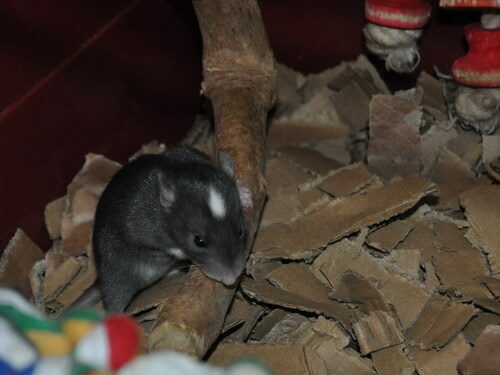 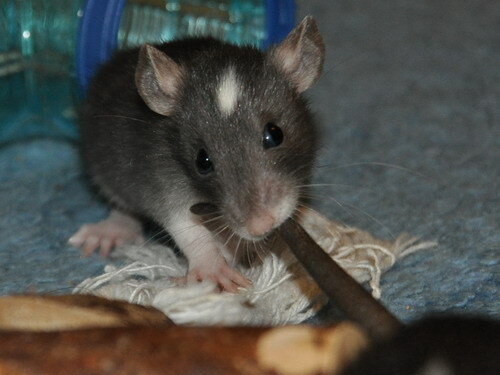 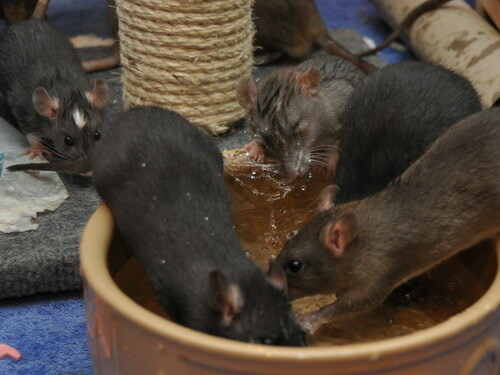 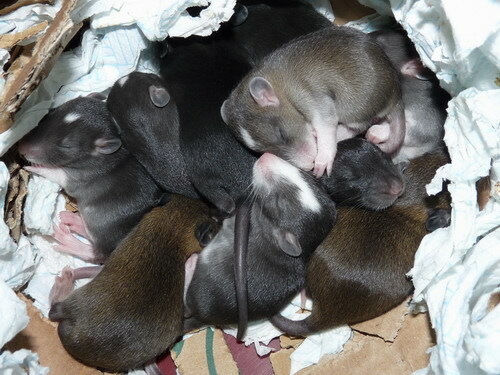 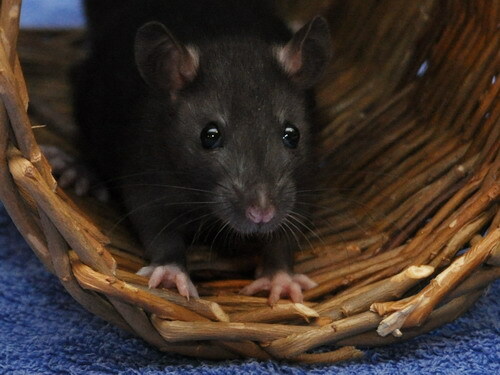 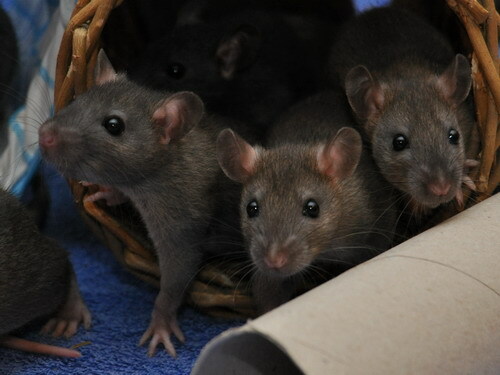 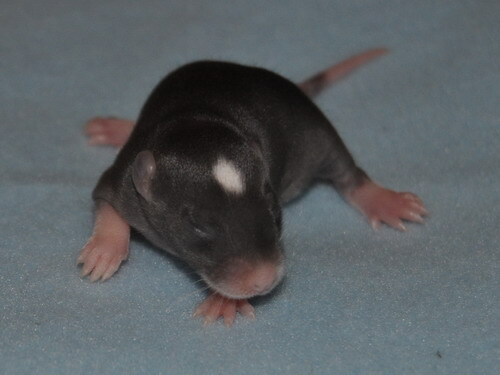 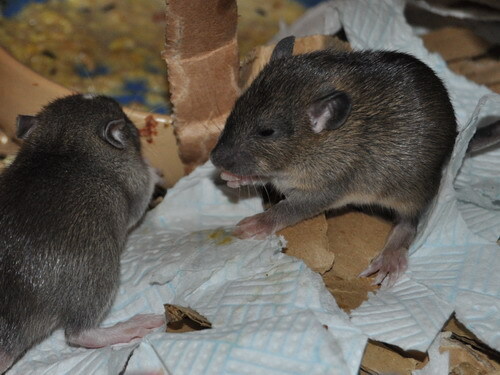 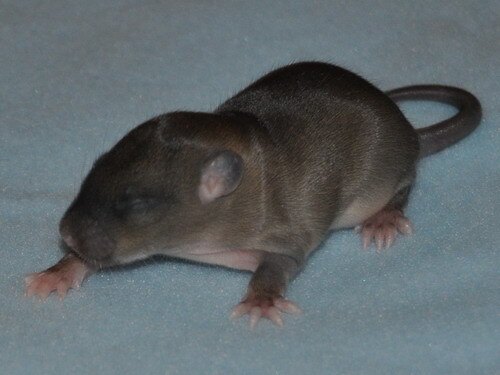 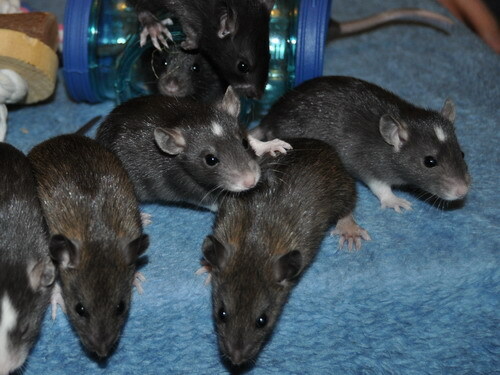 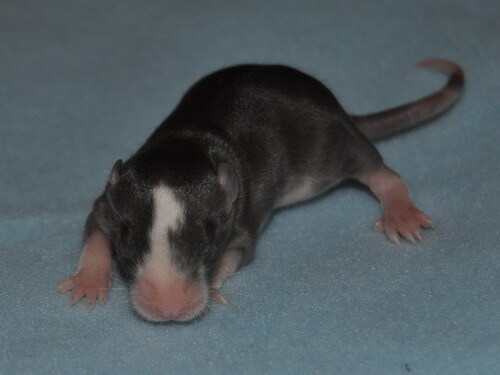 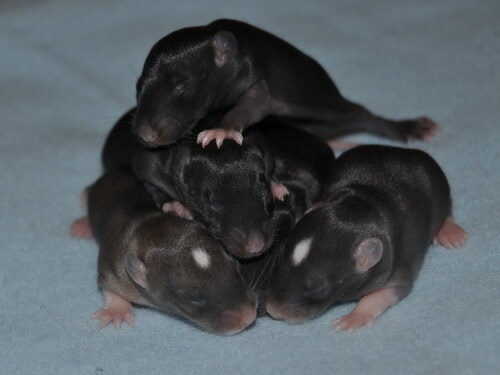 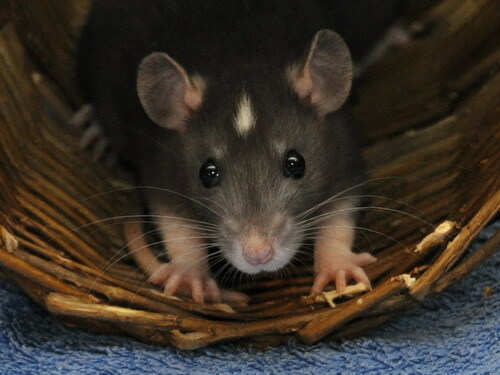 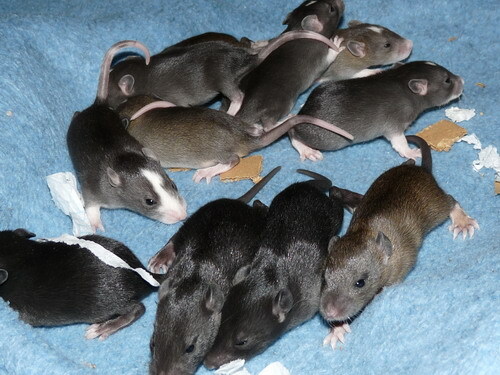 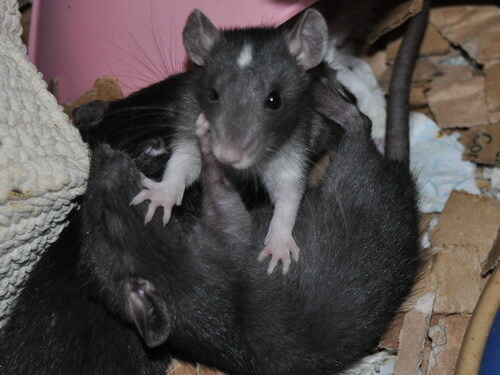 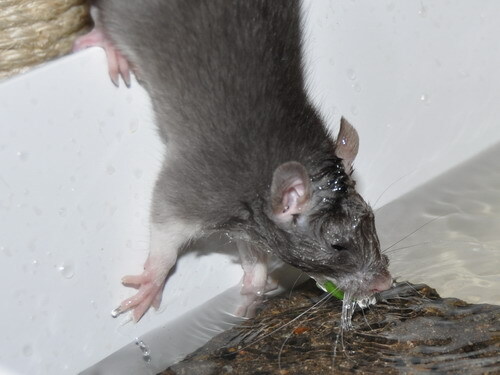 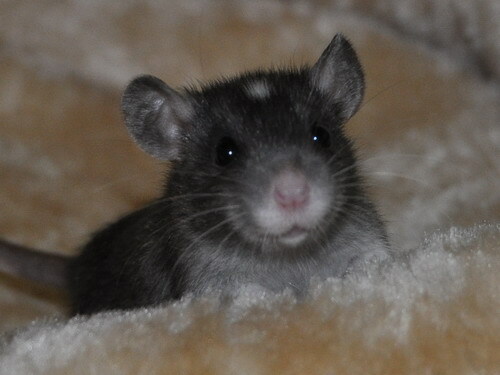 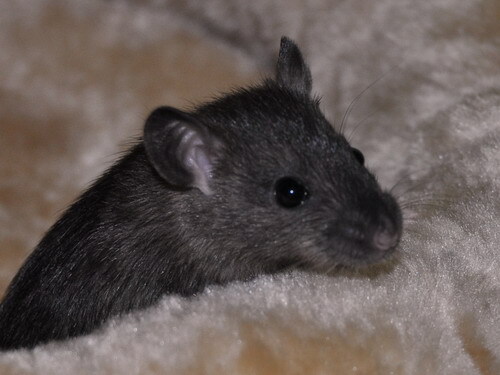 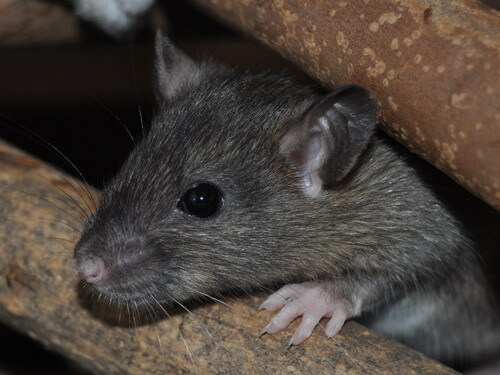 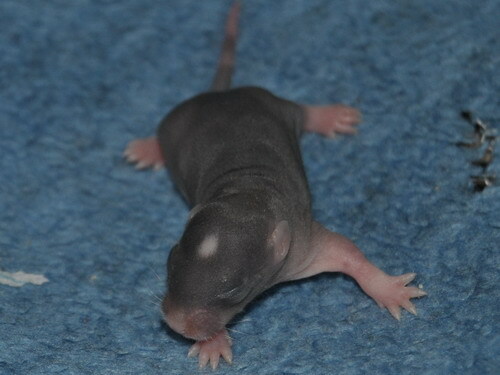 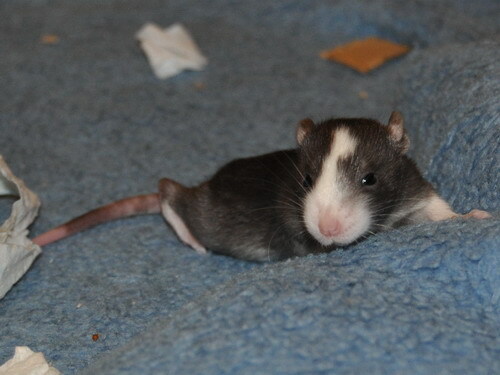 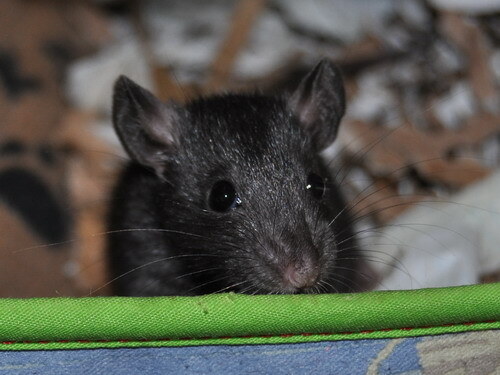 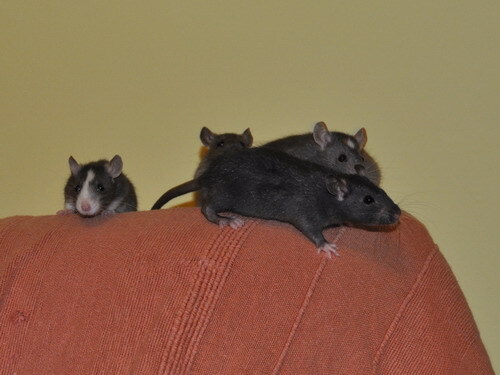 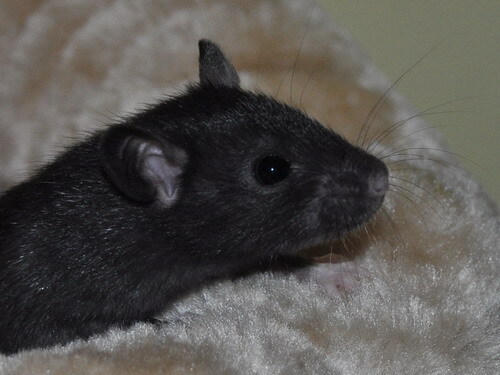 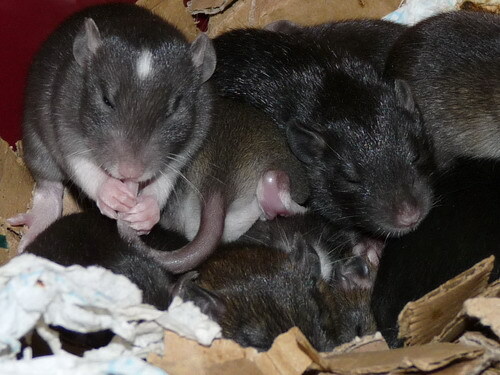 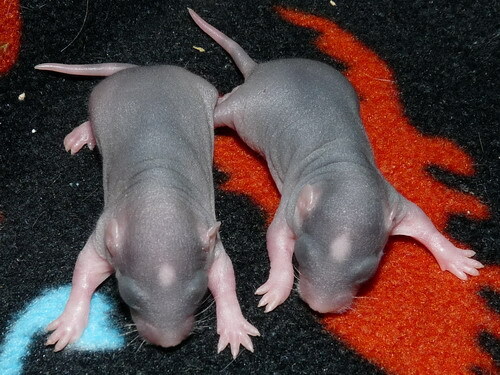 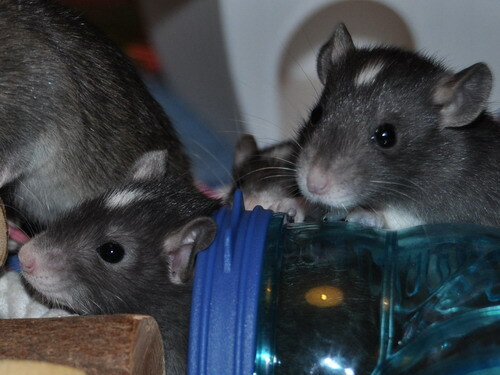 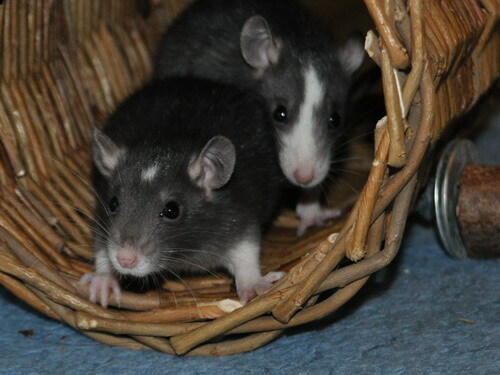 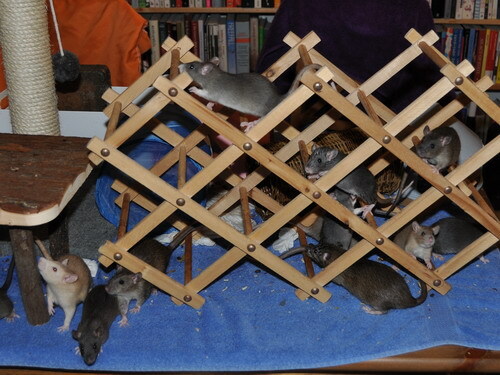 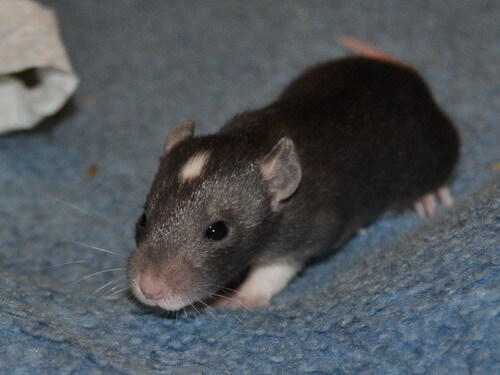 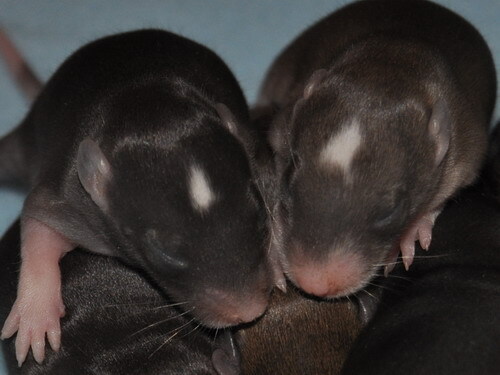 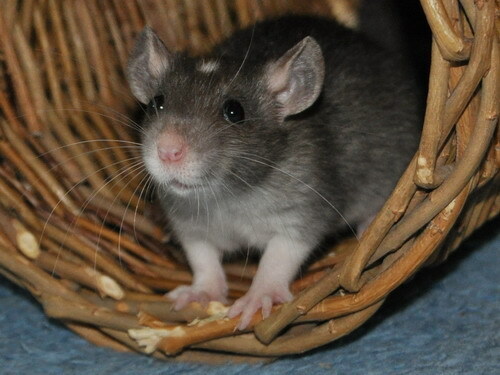 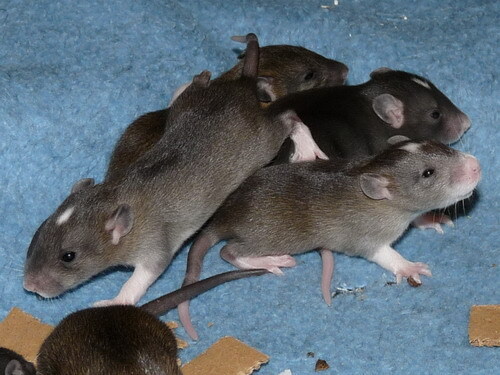 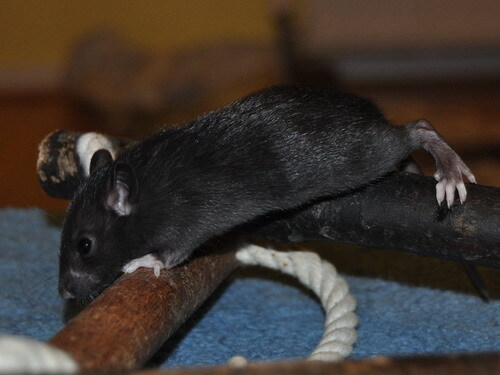 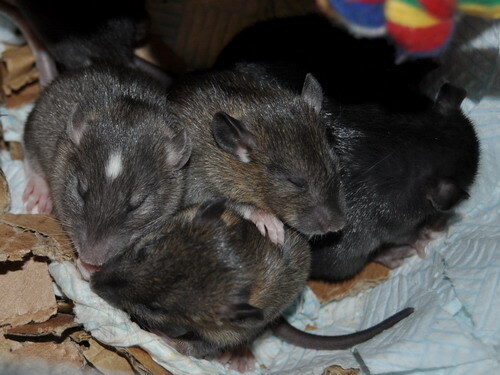 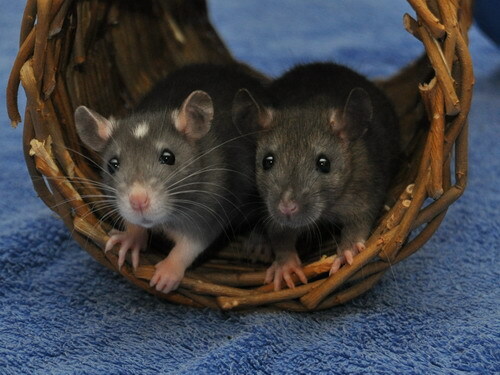 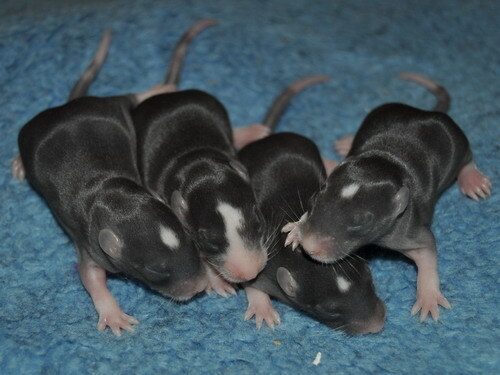 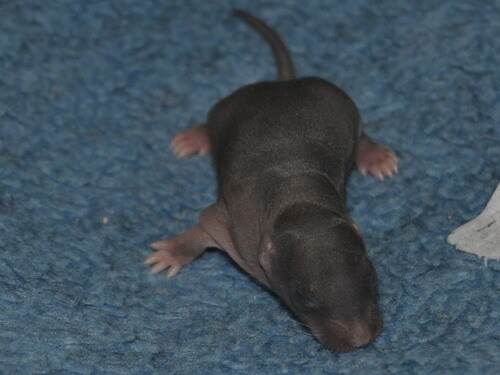 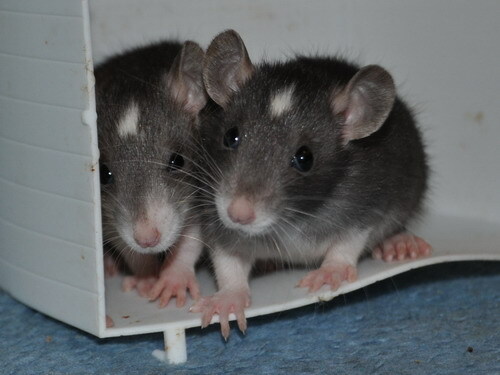 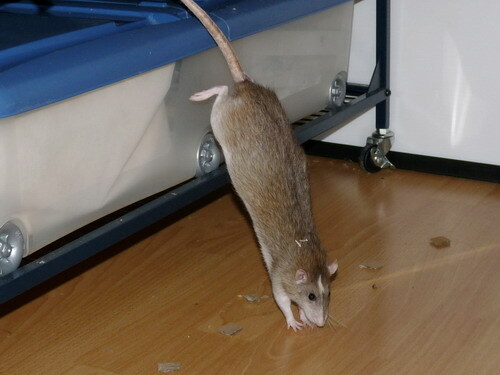 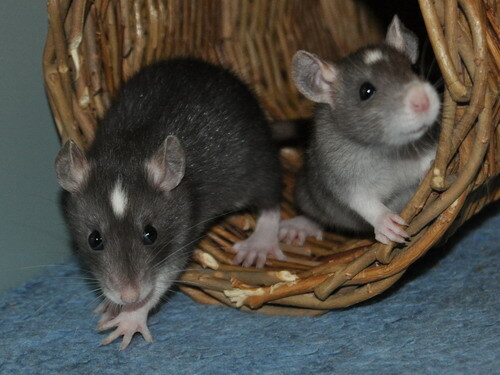 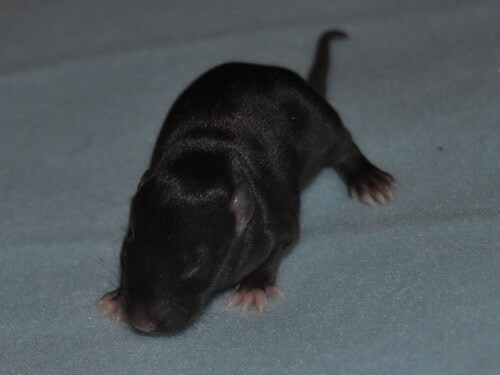 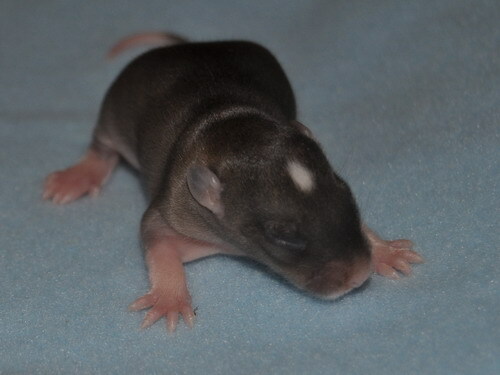 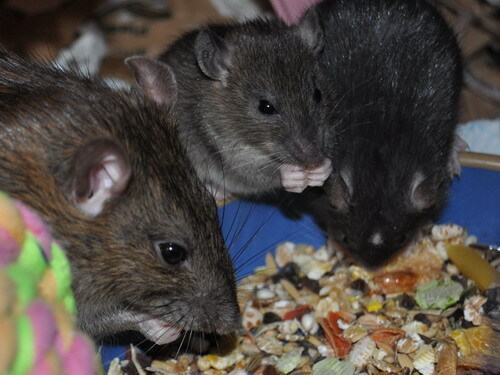 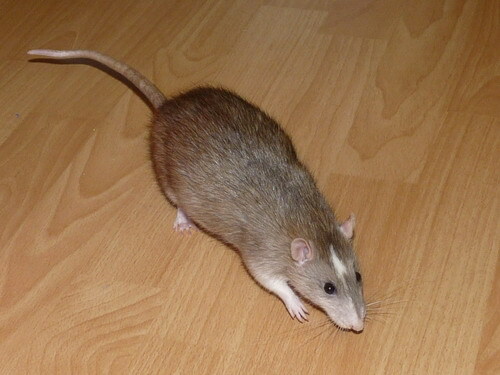 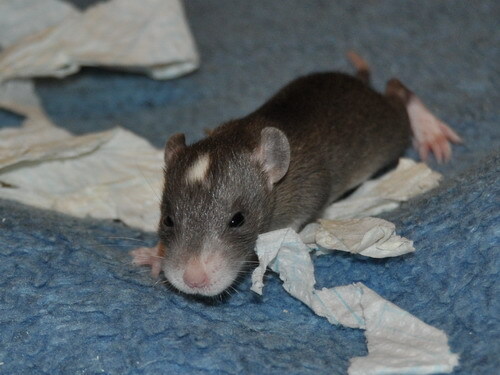 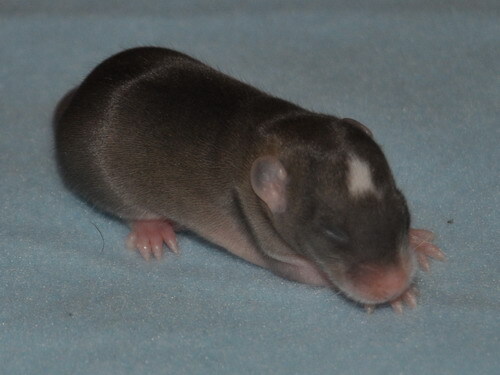 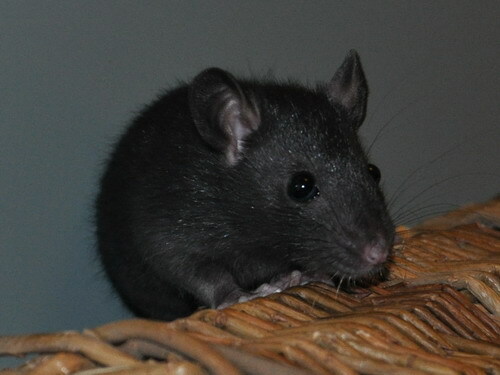 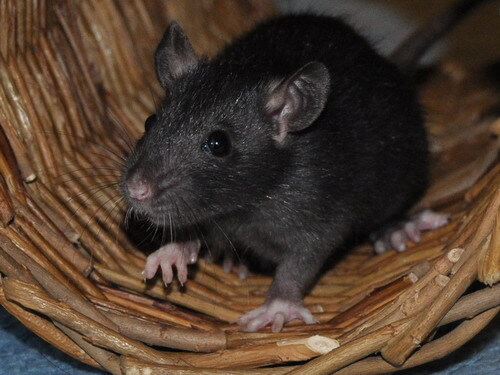 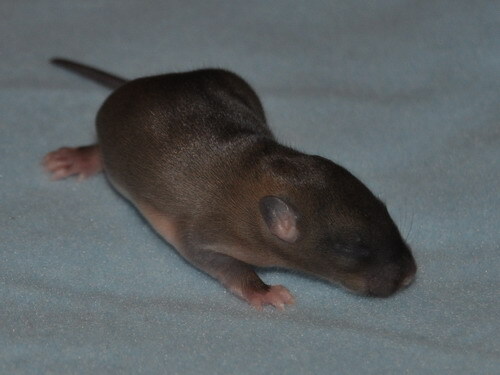 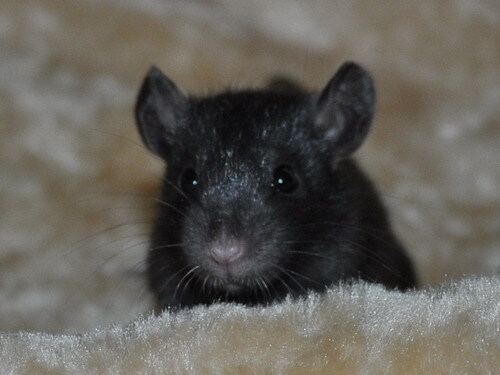 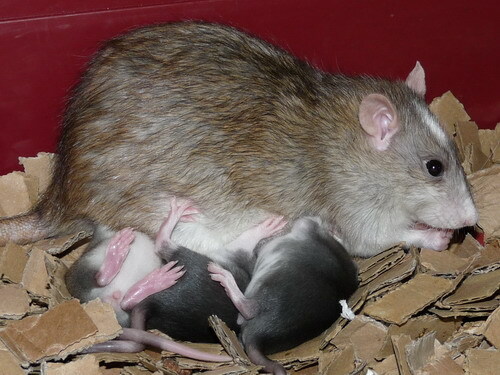 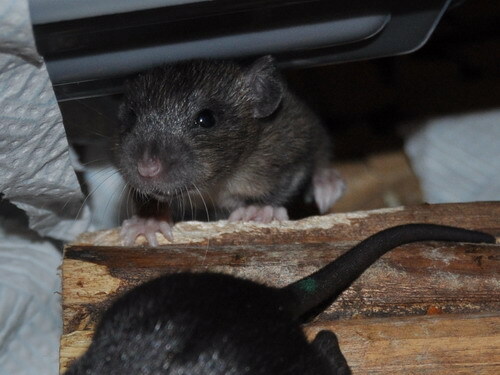 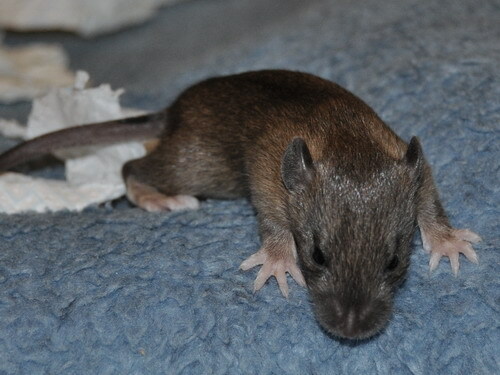 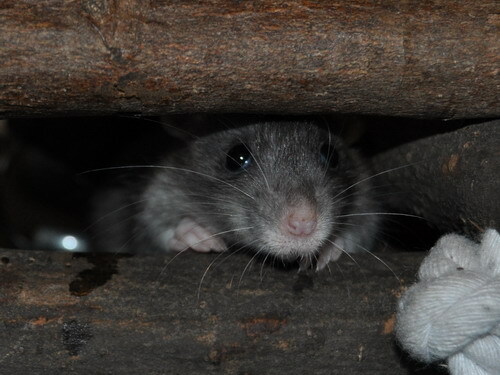 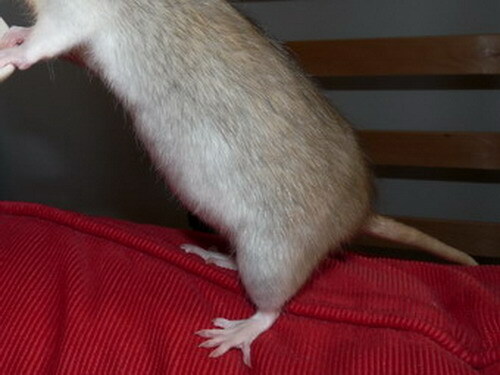 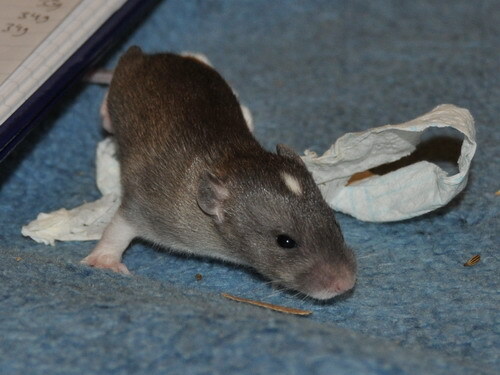 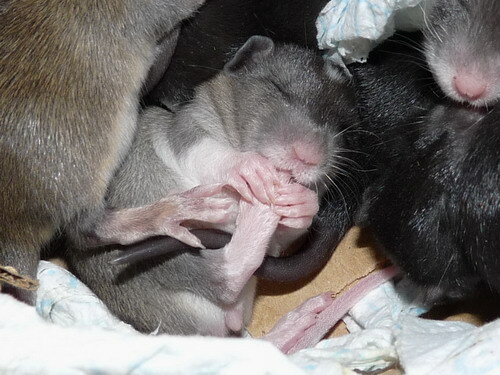 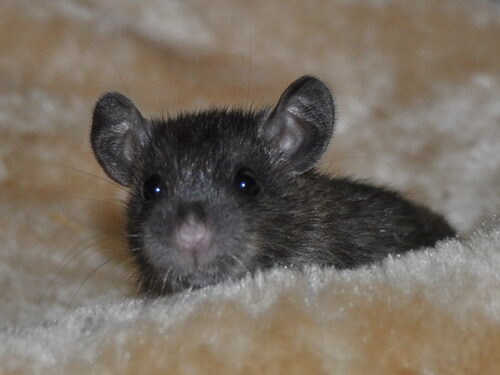 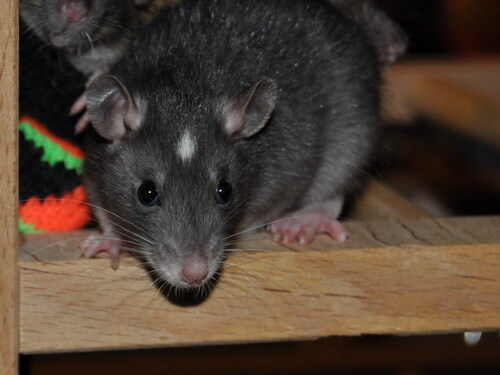 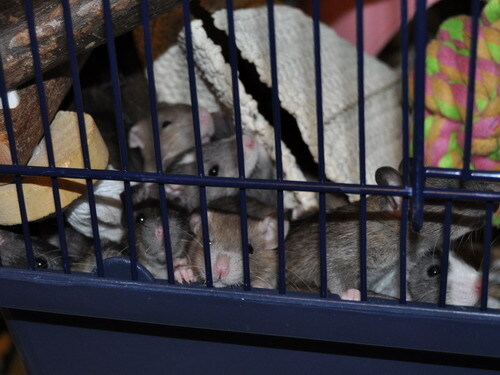 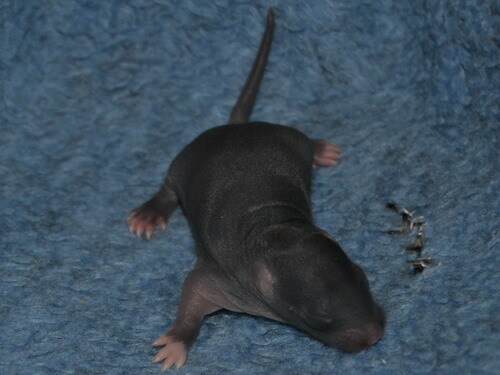 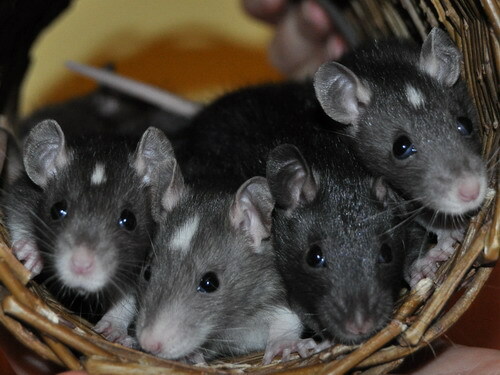 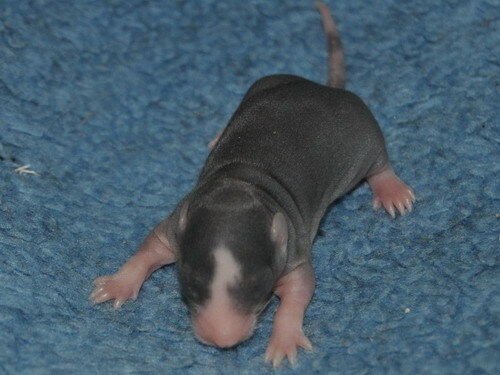 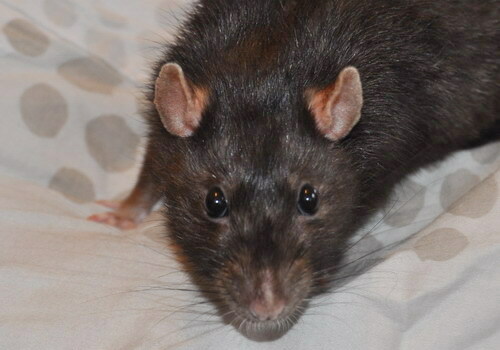 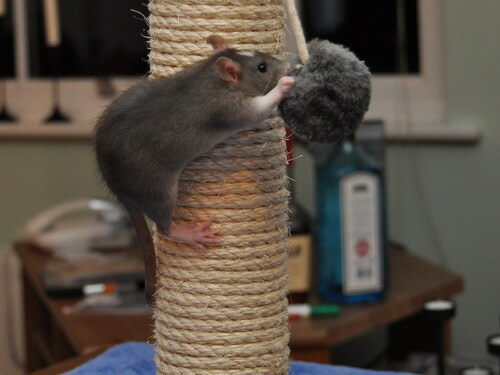 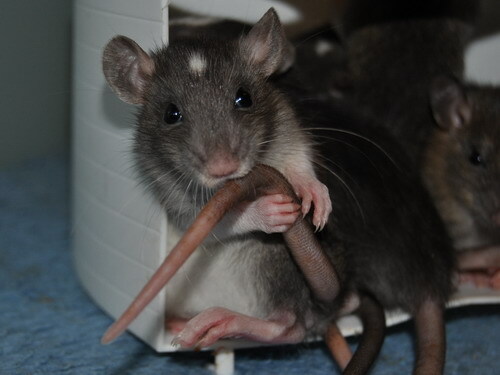 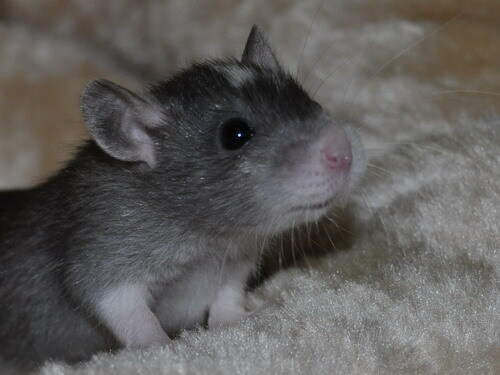 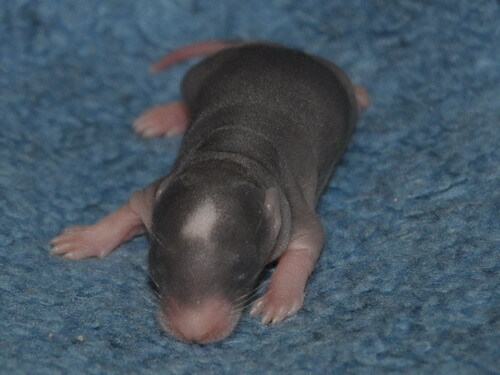 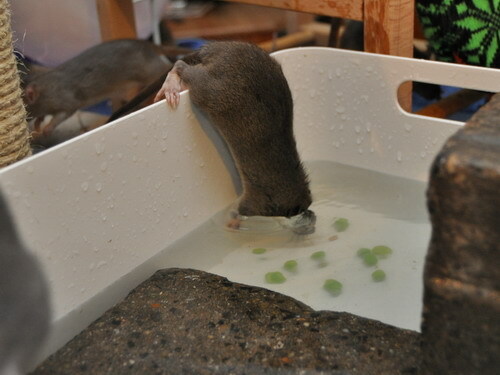 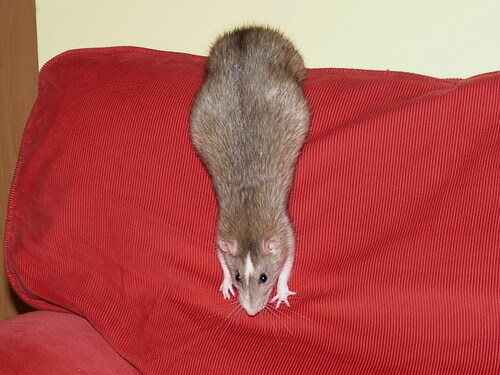 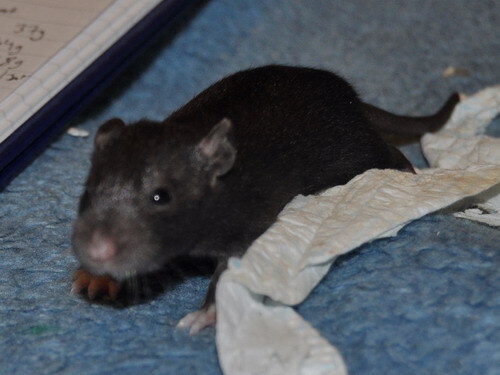 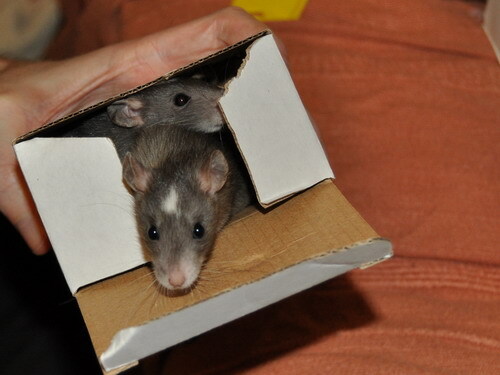 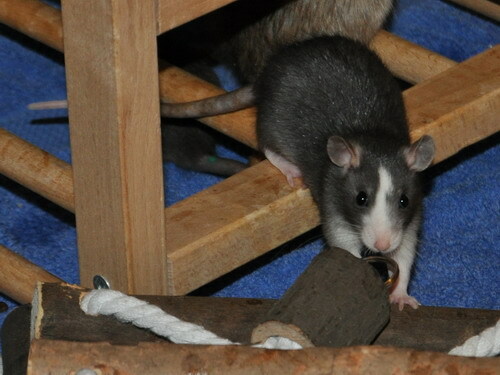 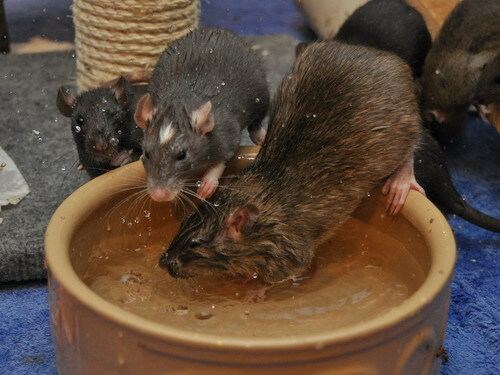 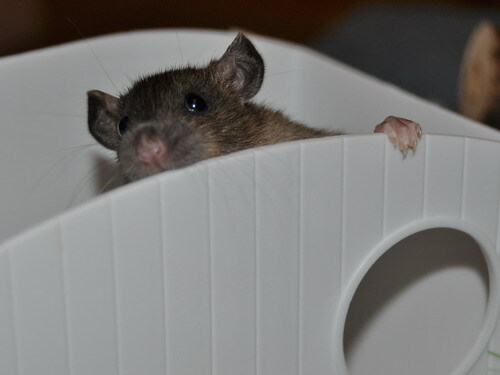 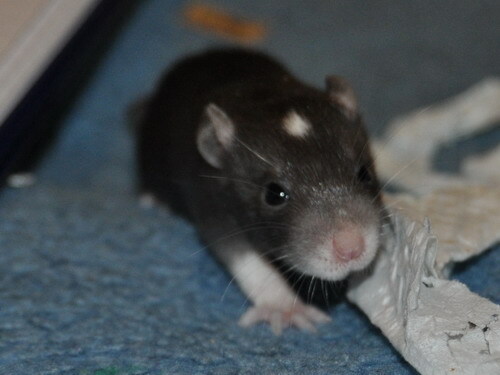 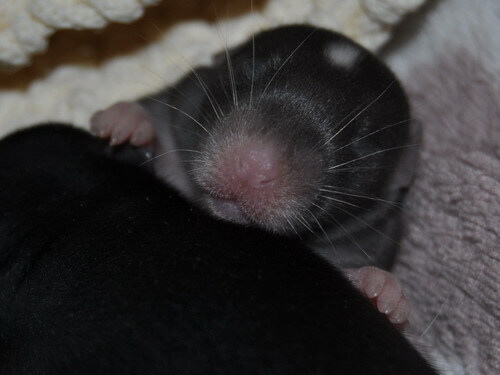 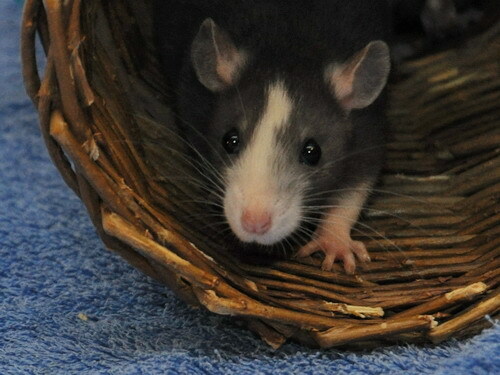 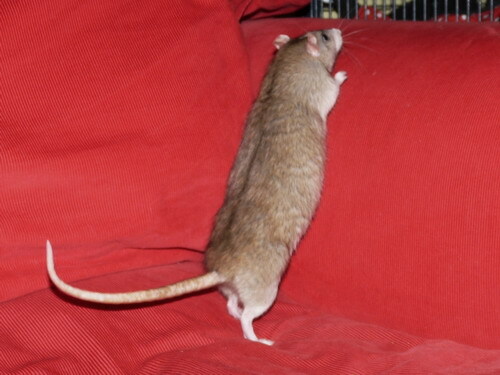 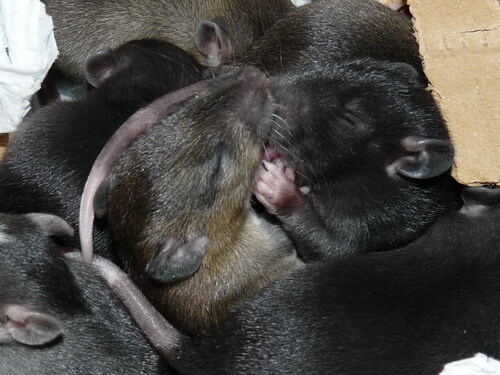 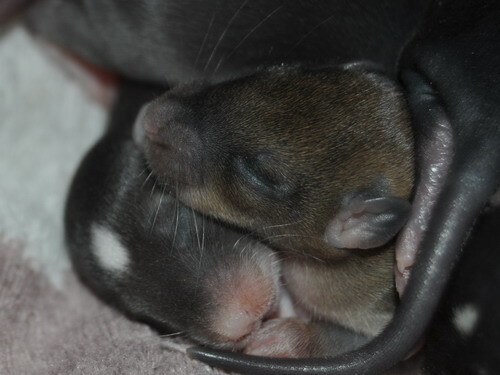 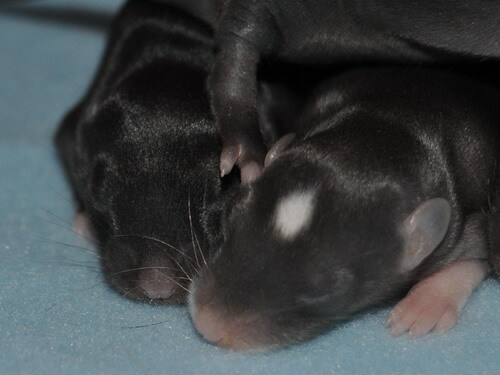 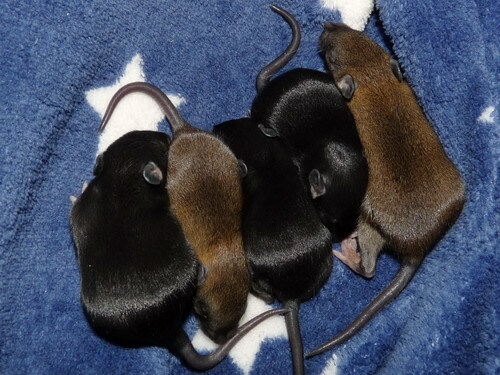 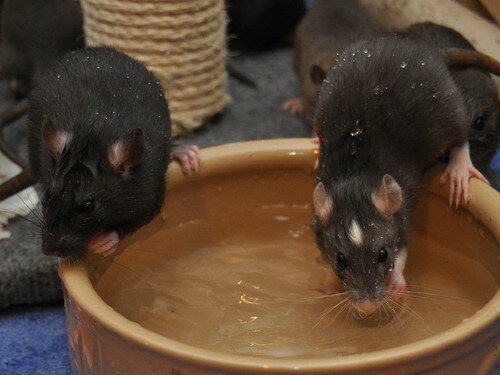 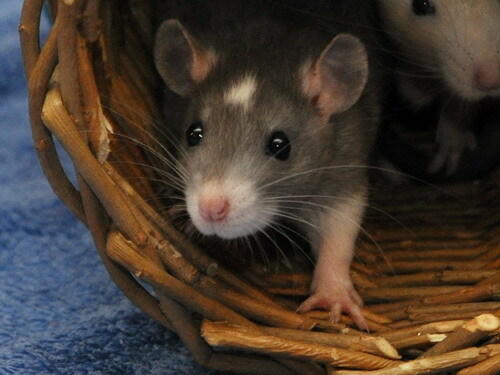 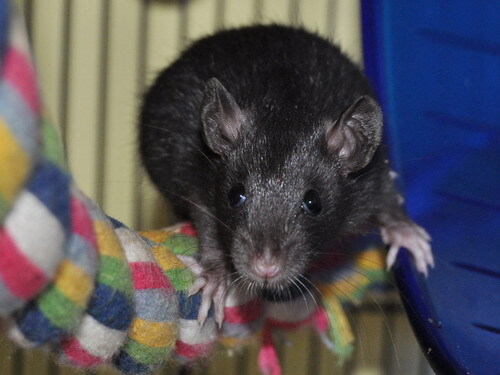 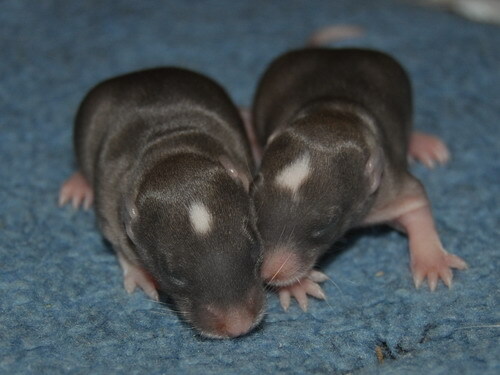 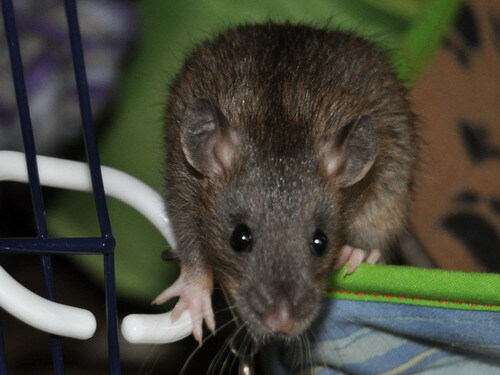 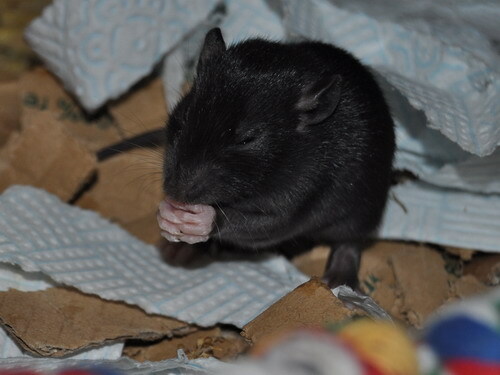 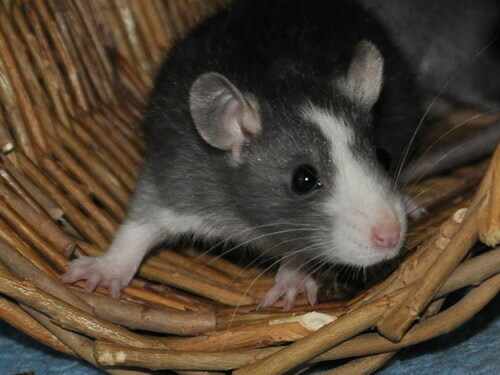 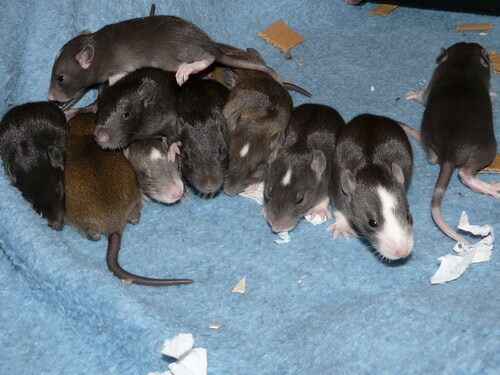 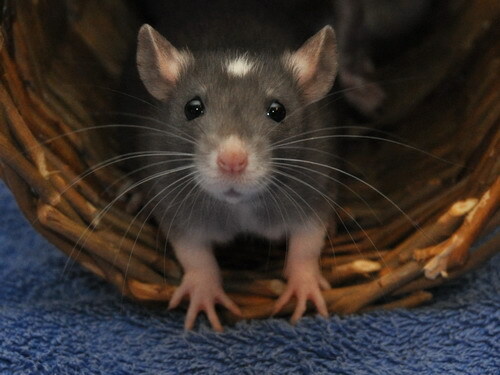 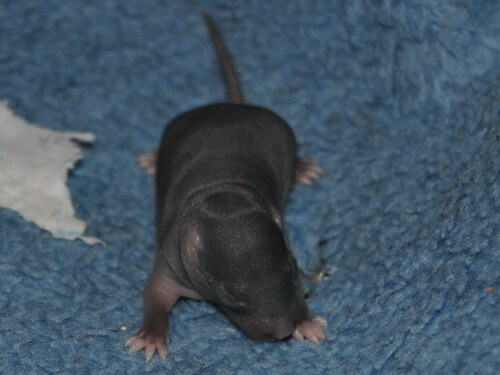 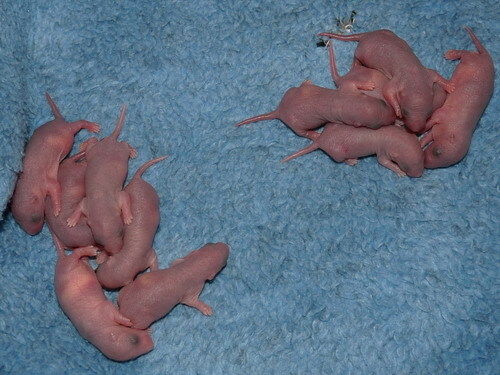 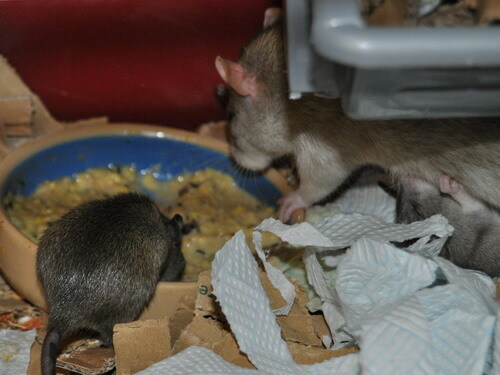 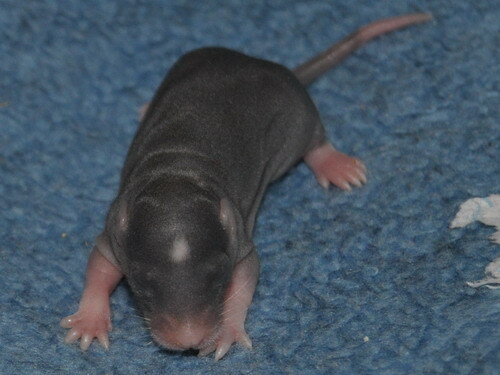 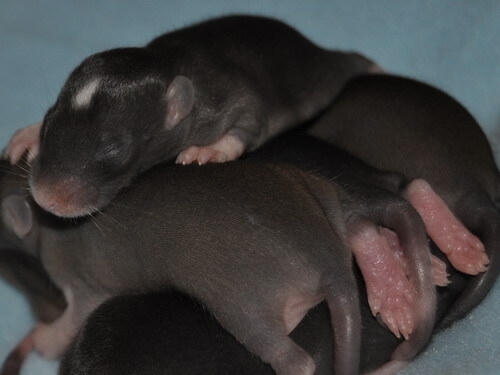 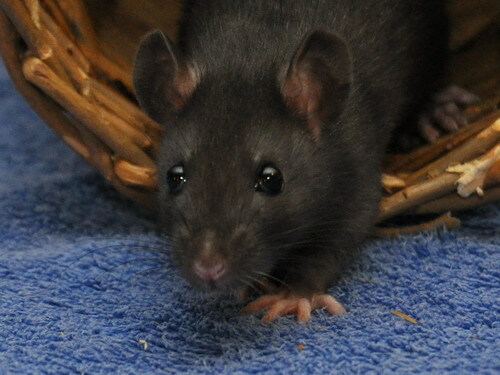 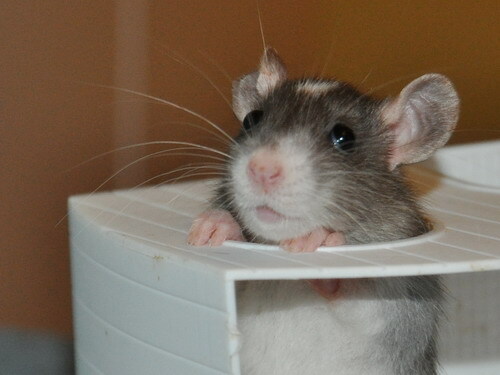 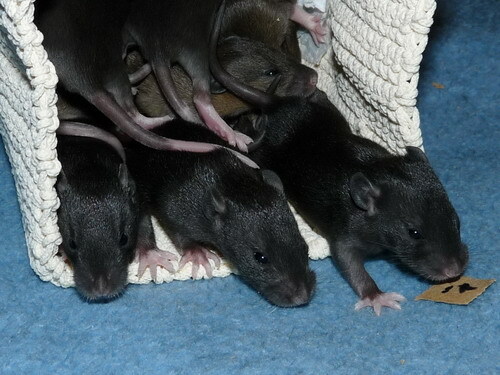 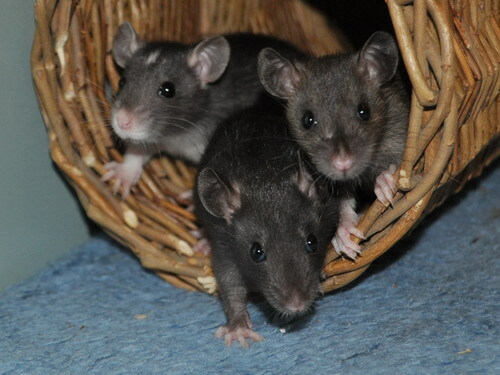 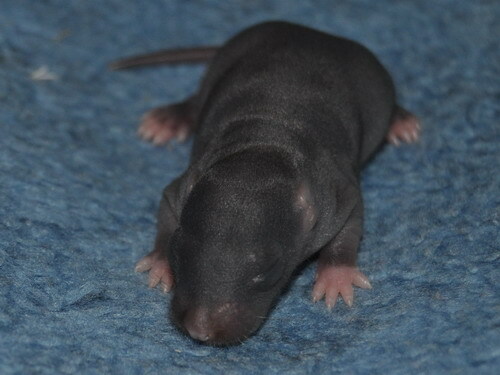 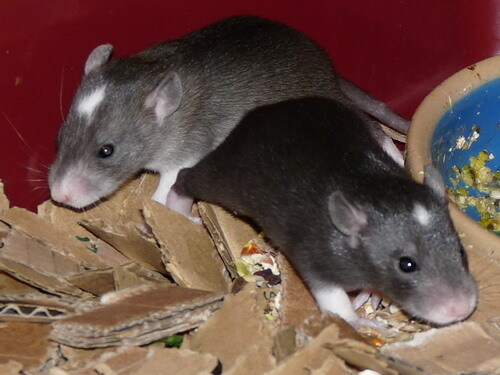 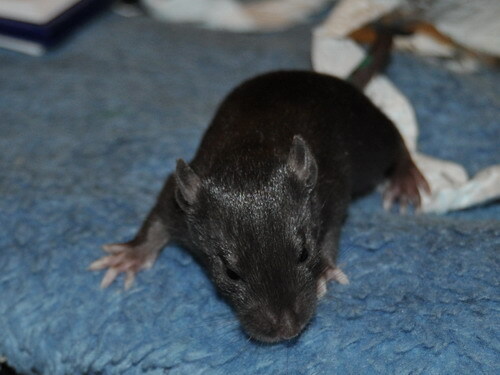 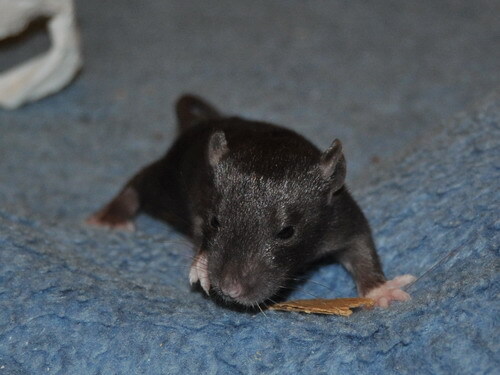 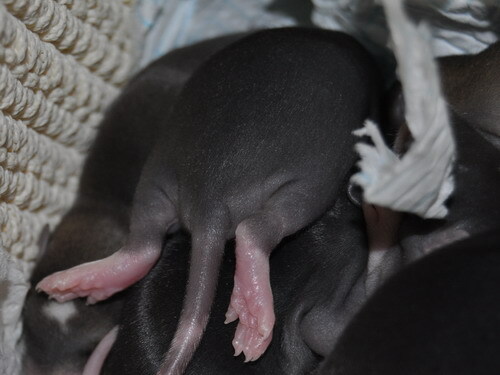 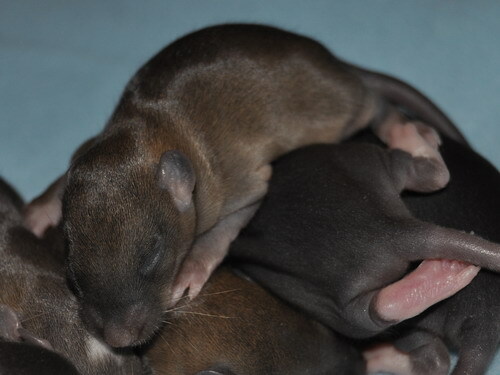 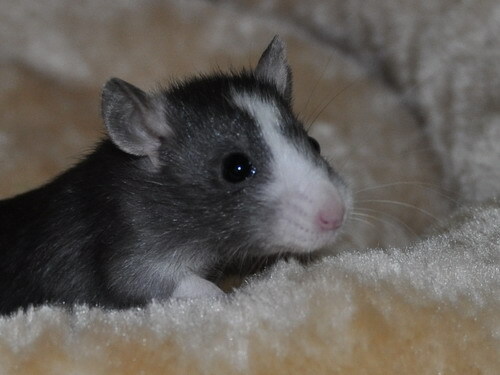 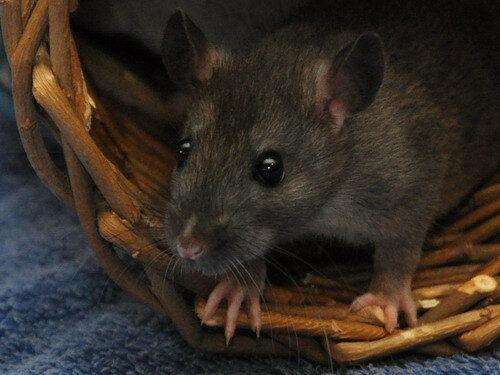 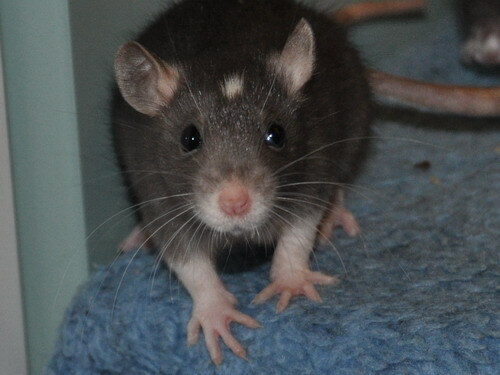 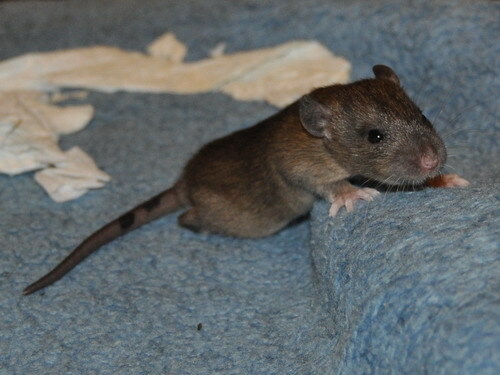 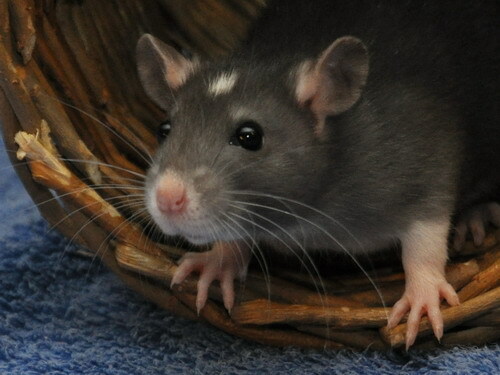 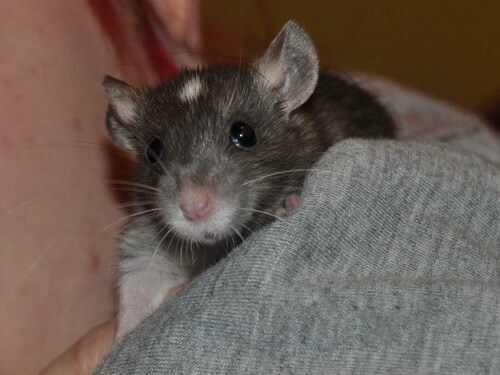 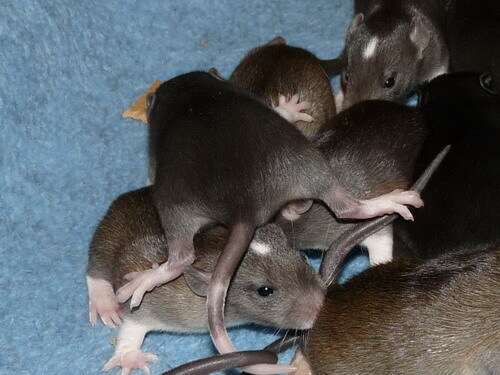 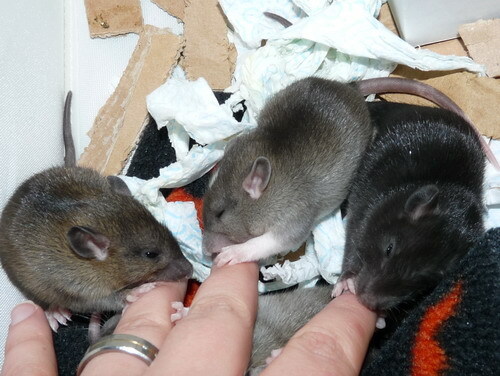 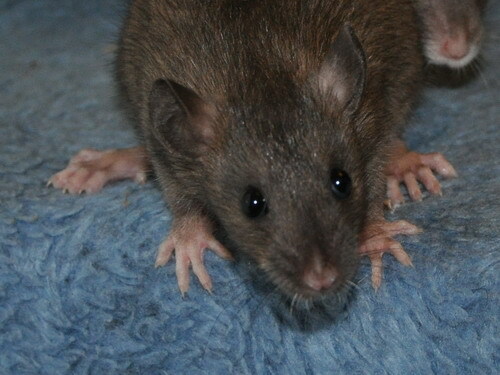 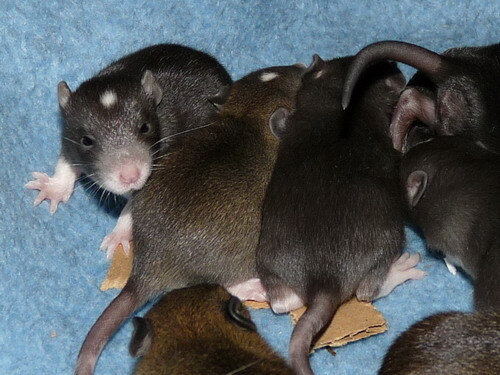 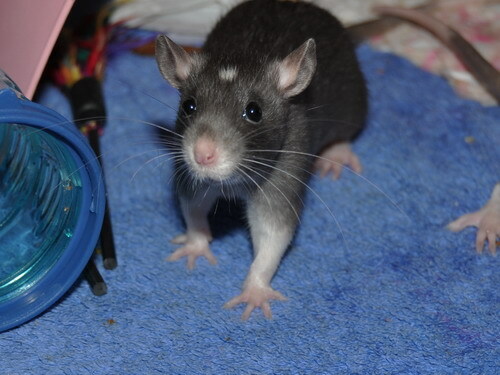 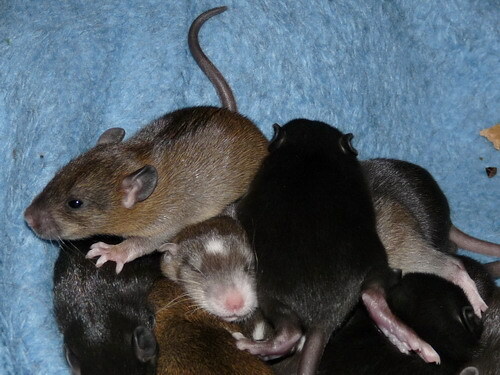 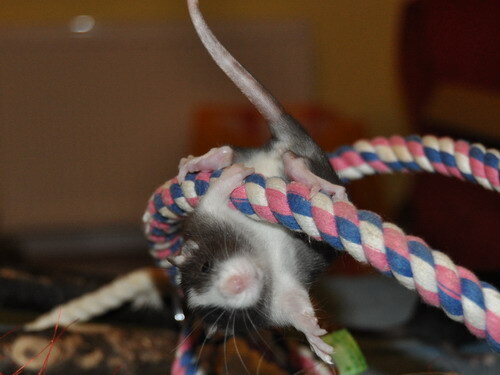 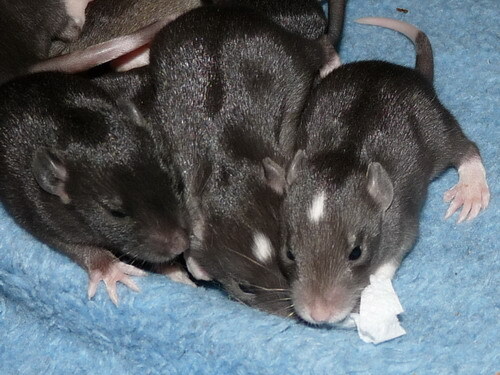 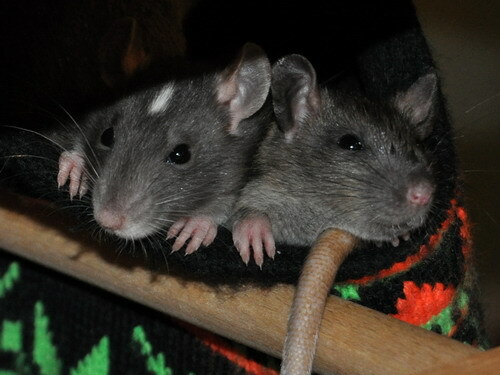 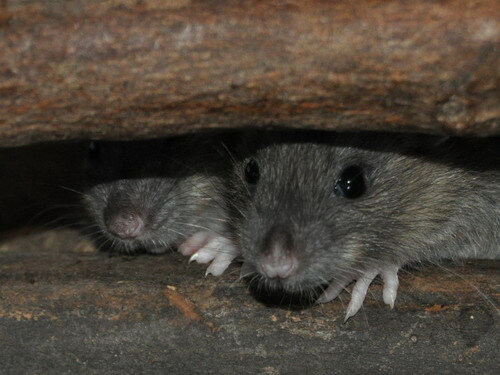 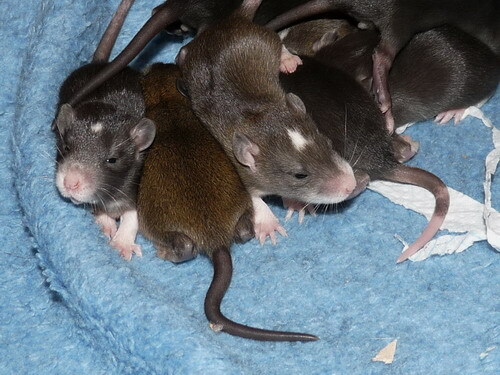 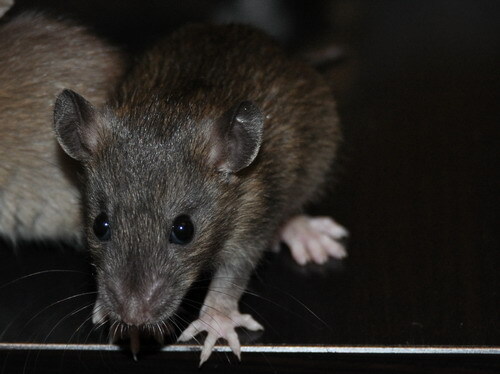 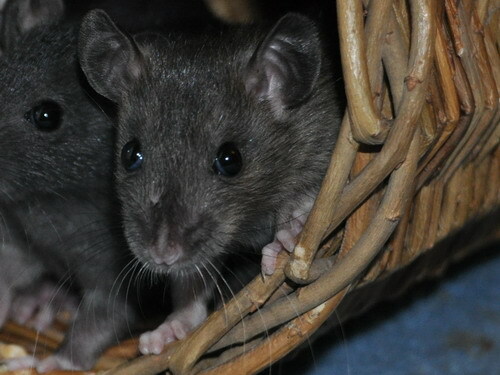 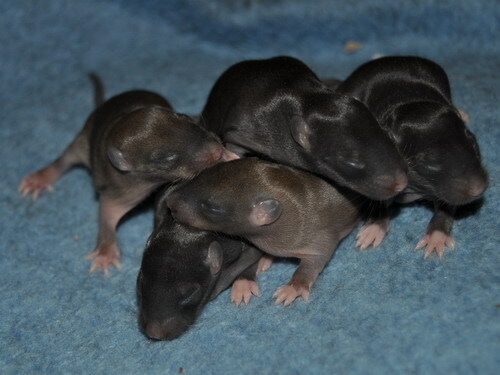 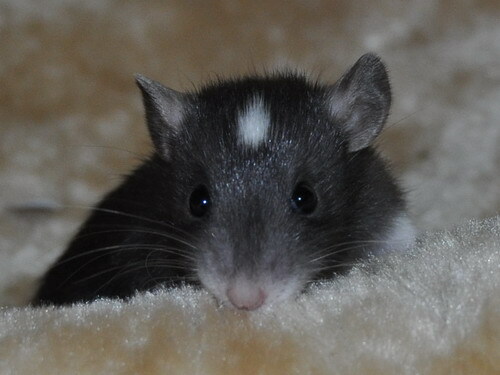 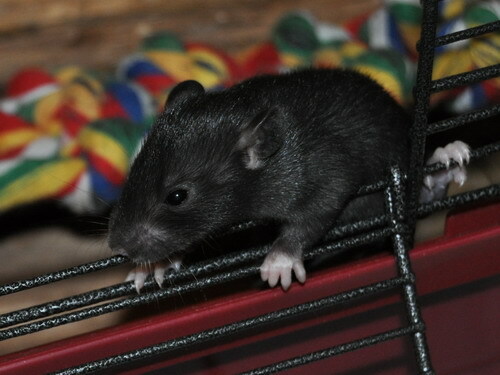 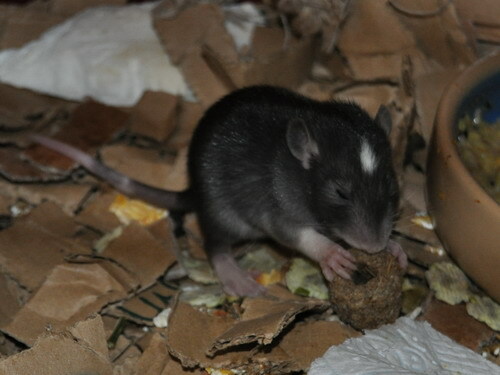 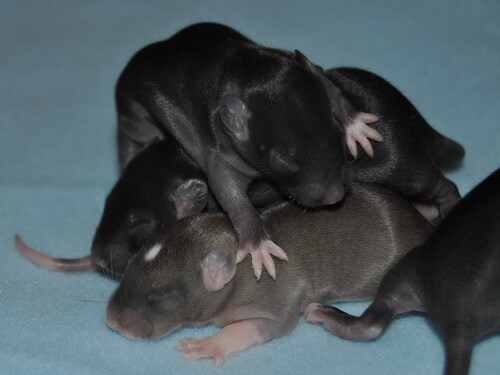 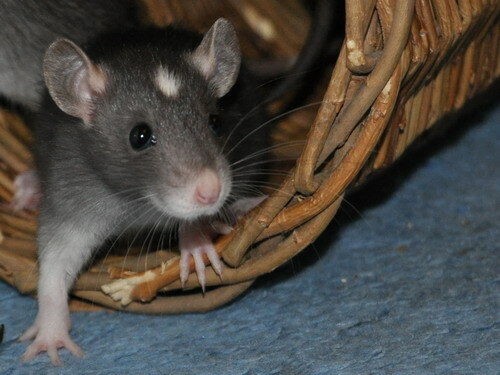 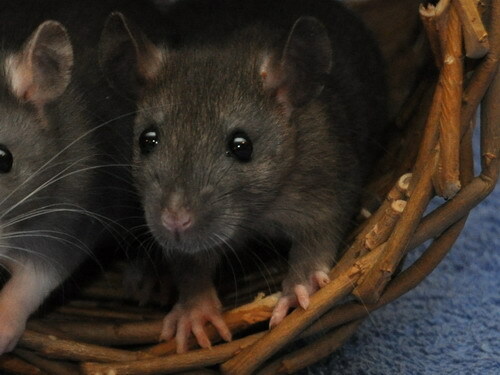 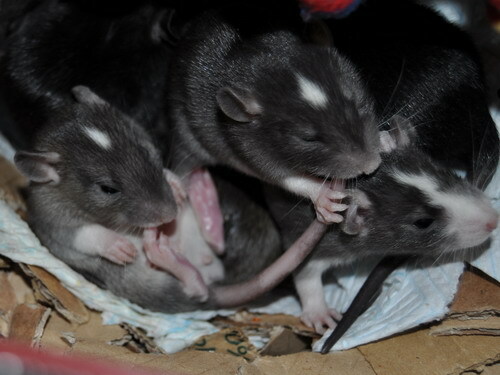 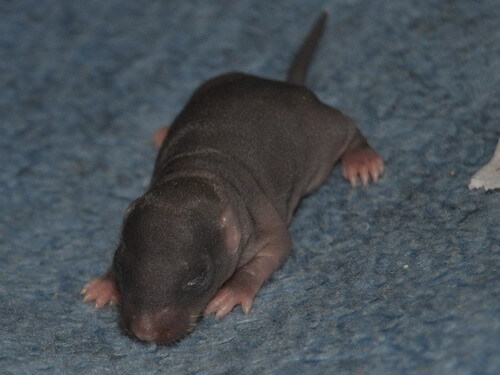 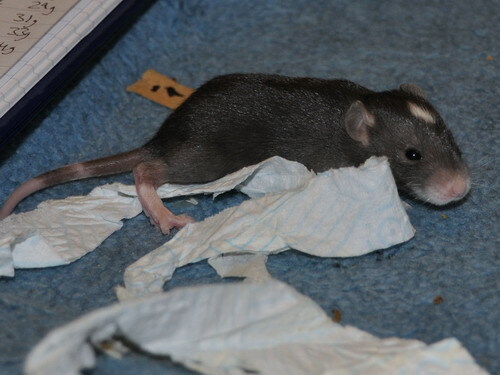 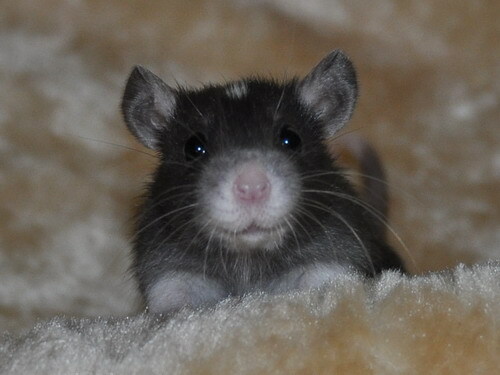 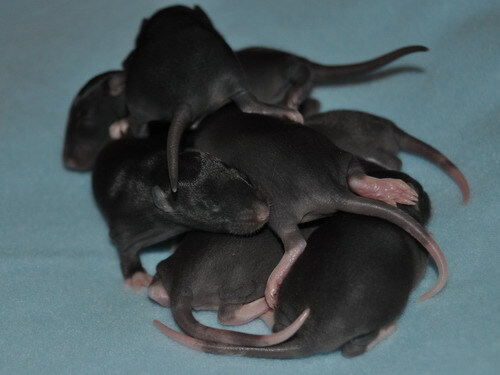 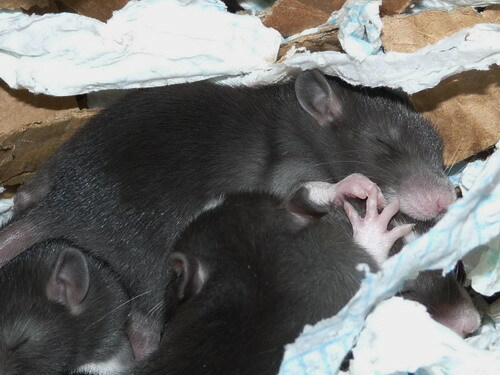 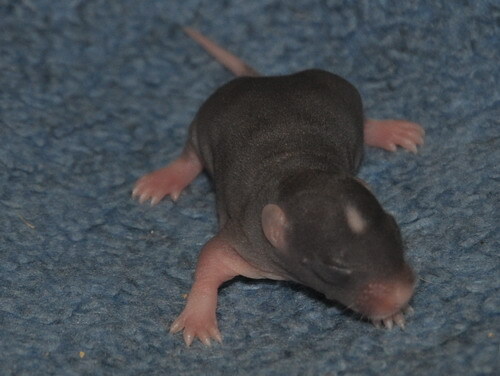 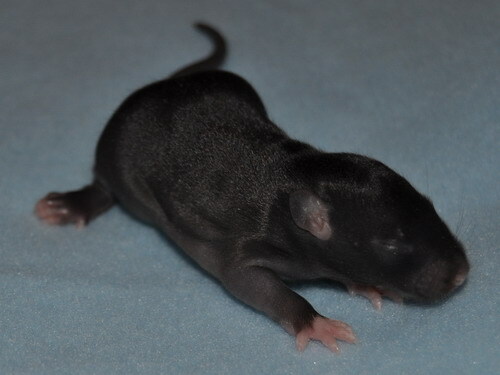 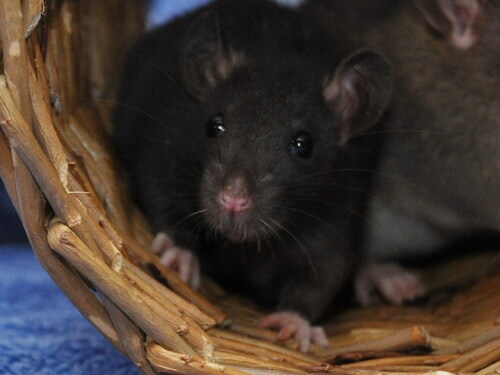 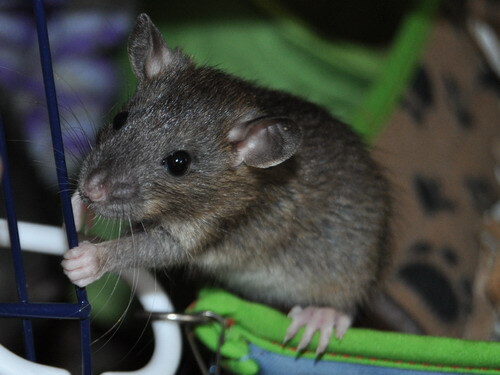 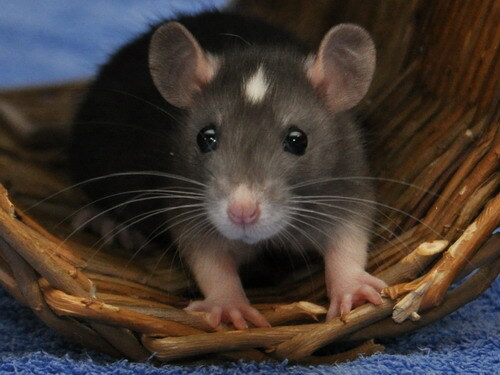 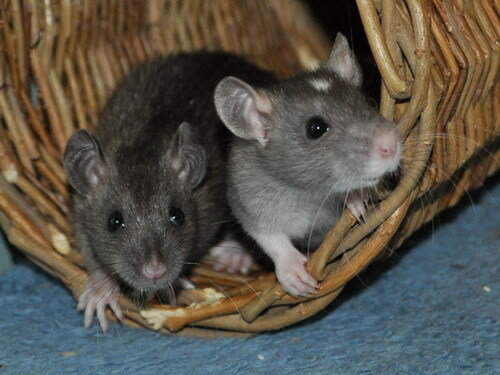 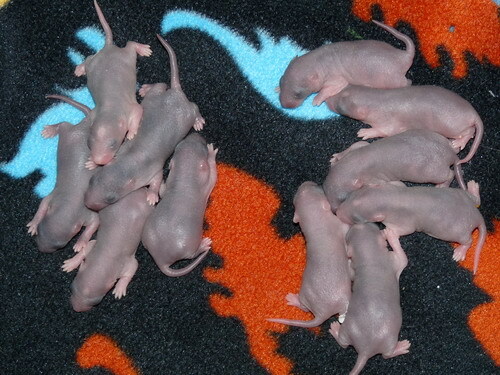 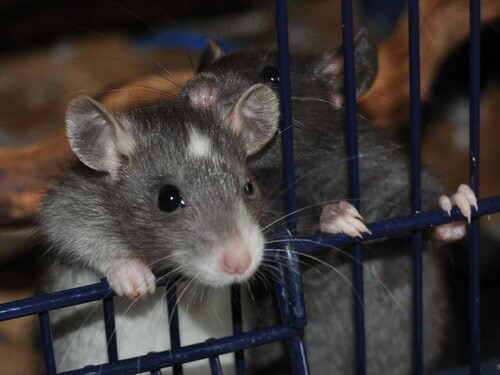 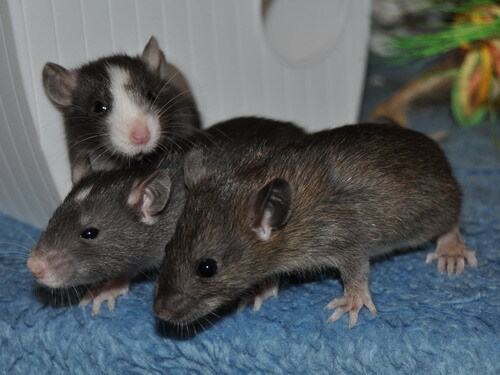 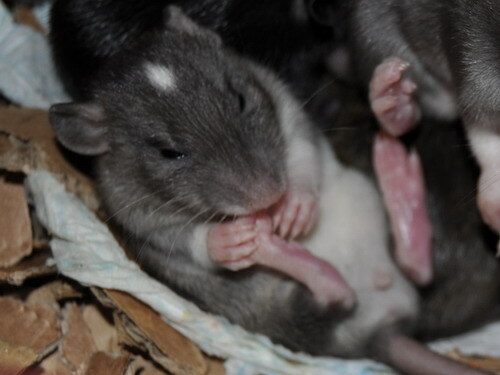 Monkeyshines is agouti Essex and was born in my first litter. 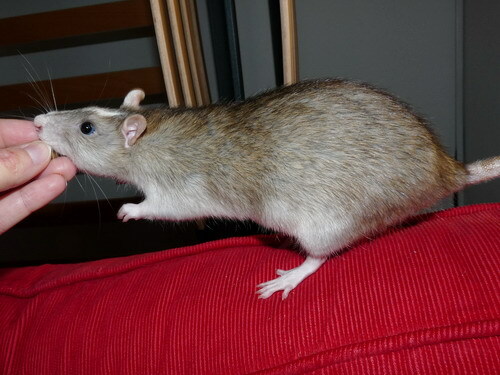 She is incredibly giddy, playful and affectionate. 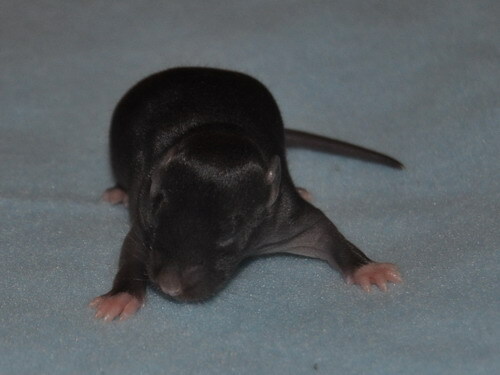 Blue is a black buck from Shunamite Stud (owned by Lilly Hoyland); he is steady and people-oriented - and rather studly! 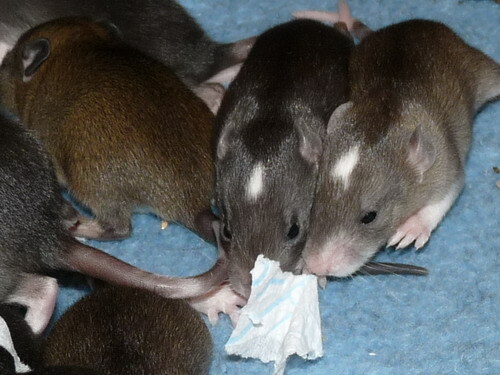 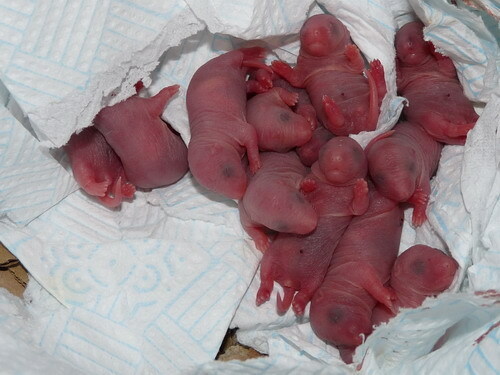 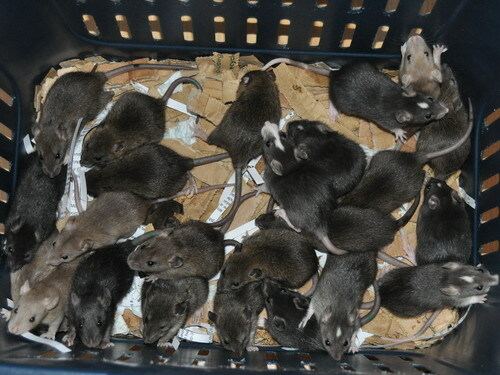 This litter is a Tabi Initiative outcross litter and we're hoping for super-friendly little clowns in agouti and black, Essex and unmarked. 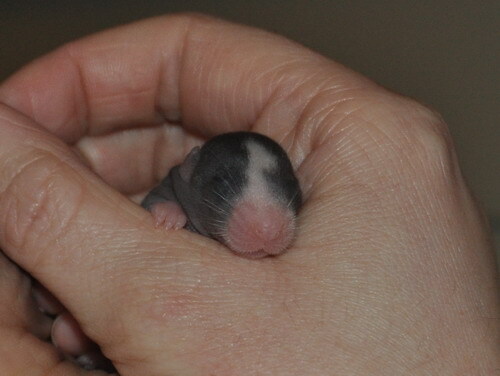 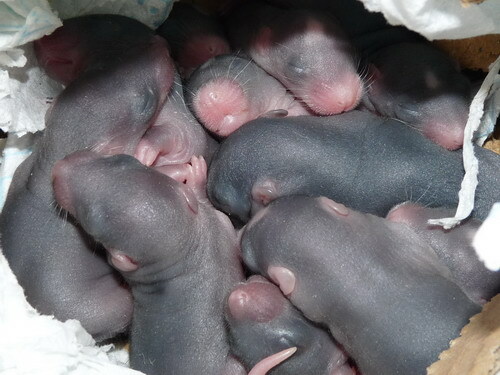 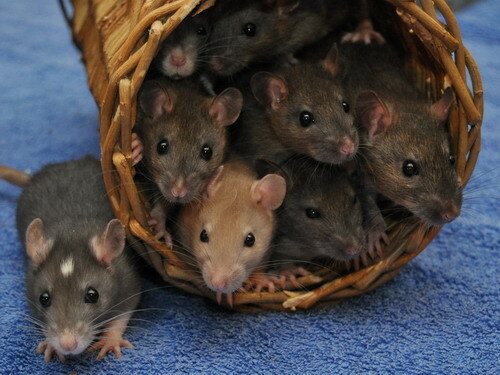 In terms of recessives, some babies will carry mink, Russian and/or dumbo. 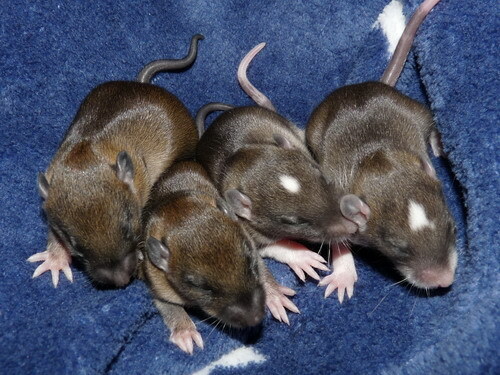 This litter will be homed jointly with the Wellows.